We're Here to Make Good Things Happen! If you are looking for a new dentist, we think you just found your new home. Our five convenient locations and caring team will provide you with an unmatched experience. We offer emergency dental treatment at all of our South Carolina locations. If you are in pain, we can help. Call us to book an appointment today! If you are unsure of what you need or want for your smile, you might like a little inspiration. Check out our patient smile gallery full of amazing smile transformations! At ProGrin, we love our patients. No seriously, we do! Just helping you become merely satisfied with your smile isn’t good enough for us. We love what we do, and we take pride in providing the highest quality of dental care. We have five convenient locations in South Carolina to help make your visits even more enjoyable. Our team specializes in cosmetic and restorative dentistry, as well as helping those who may have a fear of the dentist. We also can provide inspiration and help guide you in your quest for optimal oral health. Why Do Patients Love Us? Watch our videos and they'll tell you! Whether you're new to town or just here for a visit, you'll always have a special place in our hearts and comfy dental chairs. We're parents too, and we want your children to grow up with fantastic, confident, and healthy smiles. We know you're busy, so let's make your visits easy and pain-free! You too can end your fear of the dentist with our certified-therapy dog, barley! Dependable. Responsive. Empathetic. Professional. Now with five convenient locations in South Carolina. At ProGrin Dental, you can expect nothing but a patient-first experience. Go ahead, call us “patient-obsessed.” From the hours of training our staff participates in to the comfy chairs in our waiting room, we are committed to you – and that’s the way we like it! Servant Leadership is a way of life at ProGrin Dental. This means that management serves the team members by investing in their potential and capabilities. The team, in turn, learns how to serve the patient in the same manner. The result is “extra mile” customer service and top-notch dental care! Need help choosing your dentist? We have the five top questions to consider! Download our helpful guide! Love the staff and dentists. They got me in the same day. They work with you and your schedule to get you an appointment. They do everything they can to help you. Everyone is so nice and knowledgeable. I highly recommend them! I absolutely LOVE this place. The staff here are amazing. From the minute I walk in the door I am greeted with smiles. The team is exceptional in the ways they tend to the little ones. Incredible!! 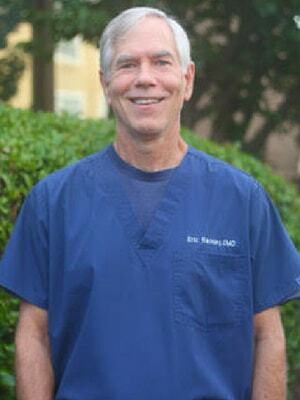 Dr. Ayers has been our family dentist for over 20 years. His office staff is welcoming and great to work with. If you are looking for the best dentist in the Upstate, look no further! This dentist office is what every other office in Greenville aspires to be, yet cannot come close to. The whole staff is excellent and the facilities are incredible. I highly recommend! We understand you’re picky when it comes to choosing your dentist. That’s okay. We are too! Our doctors are among the very best in the country when it comes to advanced education, ongoing training, and the skill level necessary to give you the smile you’ve always dreamed of. Plus, their personalities are fantastic — because nobody wants a boring dentist! Experience award-winning customer service from our South Carolina dentists at ProGrin Dental! 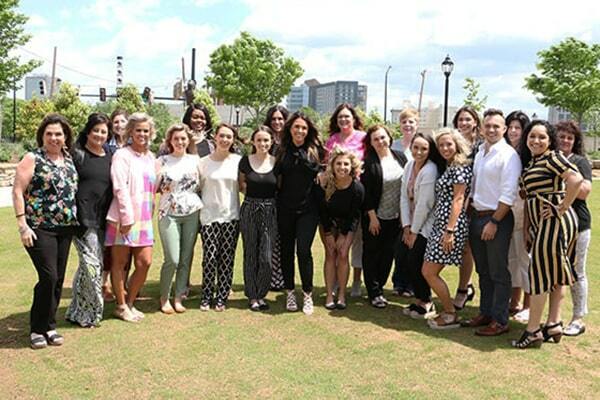 The Greenville News Best of the Upstate winners for 2018! The Better Business Bureau award winners from 2016-2018! We believe in providing you with dental work that shows no signs of a dentist. From natural, beautiful cosmetic restorations to helping you prevent decay and maintain a healthy smile, you will always be blown away by the dental care you receive at ProGrin. From young children to those in their senior years, we love seeing patients of all ages. We even have multiple generations of families who come to us for their dental care. The wonderful thing about offering a comprehensive range of services is that no matter what your needs are, we can care for you! We understand that having a toothache is no fun. Who wants to wait the whole weekend to get their tooth fixed? We offer 24-hour emergency dentistry. Our Boiling Springs location even offers Saturday hours. Invisalign® is the nearly invisible way to straighten your teeth! We're a fun bunch of dental experts and self-proclaimed artists who join their talents to make dentistry more relaxing, more enduring, and more memorable one grin at a time. Feel free to call our Boiling Springs office at 864.592.1647 and schedule your appointment today! Don't forget to fill out your New Patient Forms online to get a head start on your visit. We'd love to meet you. But we understand if you want to take things slow, so feel free to read our profiles and interests. Our dental family may be as fun and quirky as yours, but we are unmatched when it comes to quality and professional dental care. At ProGrin of Woodruff, SC, we live to make a better name for dentistry and dental professionals - a place where beautiful and functional dentistry and "made-my-day visits" are the norm. Did we mention we have the cutest certified therapy dog in the world? Her name is Barley and you are going to be the best of friends. Feel free to call our Woodruff office at 864.476.3212 and schedule your appointment today! Don't forget to fill out your New Patient Forms online to get a head start on your visit. Our dentist office located in Greer serves residents of Greenville, SC and its surrounding areas. Come visit us and see for yourself what makes our dental services stand out from the rest. We would be thrilled to be your new dentist in Greenville, SC! Feel free to call our Greenville office at 864.761.0123 and schedule your appointment today! Don't forget to fill out your New Patient Forms online to get a head start on your visit. Our dentist office, located in Greer, serves residents of Riverside and its surrounding areas. Come visit us and see for yourself what makes our dental services stand out from the rest. We would be thrilled to be your new dentist in Greer, SC! Feel free to call our Riverside office at 864.877.2541 and schedule your appointment today! Don't forget to fill out your New Patient Forms online to get a head start on your visit. Are you ready to experience the ProGrin Dental difference? Come join us in Riverside. Our dentist office, located in Simpsonville, serves the area's residents and its surrounding areas. Come visit us and see for yourself what makes our dental services stand out from the rest. We would be thrilled to be your new dentist in Simpsonville, SC! Feel free to call our Simpsonville office at 864.228.9112 and schedule your appointment today! Don't forget to fill out your New Patient Forms online to get a head start on your visit. Are you ready to experience the ProGrin Dental difference? Schedule your appointment today. When you visit ProGrin, we want you to feel at home. At each of our five locations in South Carolina, our team’s aim is to make your dental appointments as easy and convenient as your busy lifestyle demands. We’re known for pampering our guests with essential oils, fresh-baked cookies, coffee, and warm blankets. Now it’s just up to you to choose the location that is closest to where you need us. We want to be your dental home for life! We take pride in providing the highest quality dental care possible and are not satisfied until you have a genuine smile on your face. Love your smile. Love your experience. Our dentists in South Carolina and their amazing team have the knowledge and skills to enhance the natural beauty of your smile. Whether you need a dentist to help keep your and your family’s smiles healthy or are in need of advanced cosmetic or restorative work, we have the tools and skills to give you the beautiful, functional, healthy smile you deserve. We have convenient locations in Woodruff, Greenville, Boiling Springs, Simpsonville, and Riverside. P.S: Our Boiling Springs location is now offering Saturday appointments.